WOW! I LOVE different kinds of sandwiches like this! I did lightly drain the tuna (I used and Italian oil-packed tuna) b/c I didn't want it to be too runny, and I'm glad I did. I only had regular cheddar cheese and Italian bread on hand, so I used those. Oh man, this is a seriously delicious sandwich! Great blend of flavors and textures. Be sure to keep a stack of napkins on hand, this is a messy one, lol! I will def be making this again. 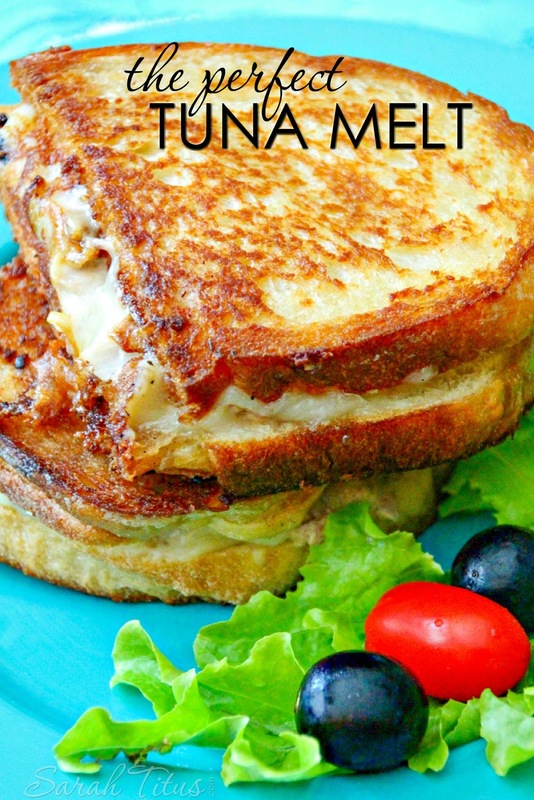 Set the tuna melt on paper towels and allow to cool enough to serve.